Direct contact with dishwashing liquid soap is pretty much guaranteed to trigger an eczema flareup on my hands. I get itchy just thinking about it. That’s why I always get somebody else to wash my dishes. Just kidding. I use dishwashing gloves. But not all dishwashing gloves are created equally. I hate it when dishwashing gloves wear out after just a few weeks, and start leeching liquid into my hands. It defeats the purpose of having a barrier between my hands and the dishwashing soap. Plus, it feels pretty gross to have moist gloves. 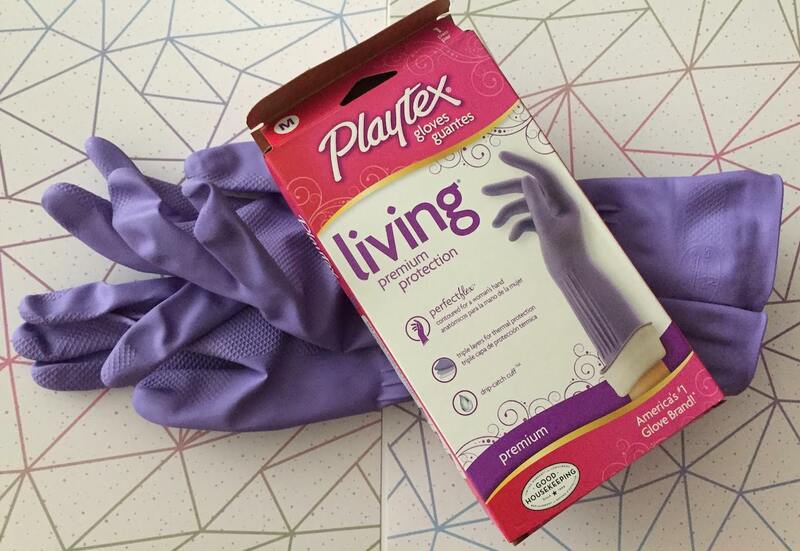 I finally found my favorite kind of dishwashing glove in the whole universe: these Playtex Living Premium Protection dishwashing gloves usually last me at least a few months before they start to wear thin. I know that my hands will always be dry before, during, and after washing dishes if I wear these gloves. They’re just the right length, too (they extend about six inches past my wrists, so they hit the middle of my forearm). This generally is long enough to keep water from entering the top of the gloves. 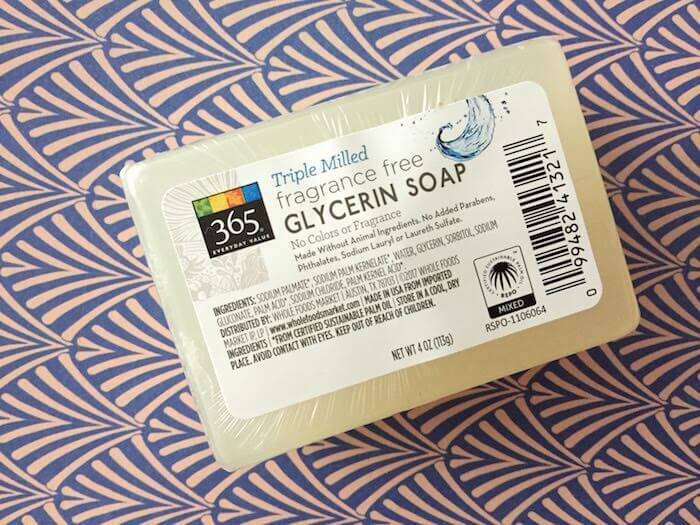 This isn’t specific to hand eczema, more of a recommendation for sensitive skin, but I think that it’s really important to use body soap or body wash that doesn’t contain fragrances. And one that is specifically marketed to “sensitive skin.” I remember one time in college when I tried to use Ivory bar soap, and my skin started forming little bumps everywhere. It was either the fragrance of the sodium tallowate (which is what makes something a proper “soap” but can be very drying for sensitive skin). 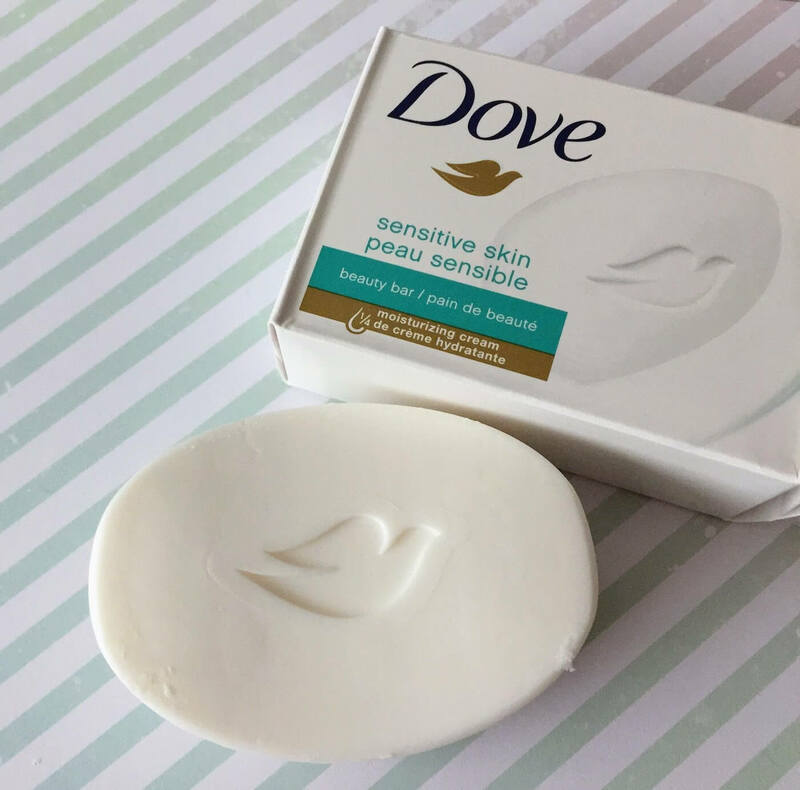 Dove Beauty Bar for Sensitive Skin doesn’t contain sodium tallowate, so it has to classify itself as a “beauty bar” rather than a bar soap. But I use it just like a bar soap, and it keeps my skin pretty happy. It also doesn’t contain any fragrances. I like to buy it in bulk from Costco, via Google Express. When my hands get really dry, it usually leads to an eczema flareup. 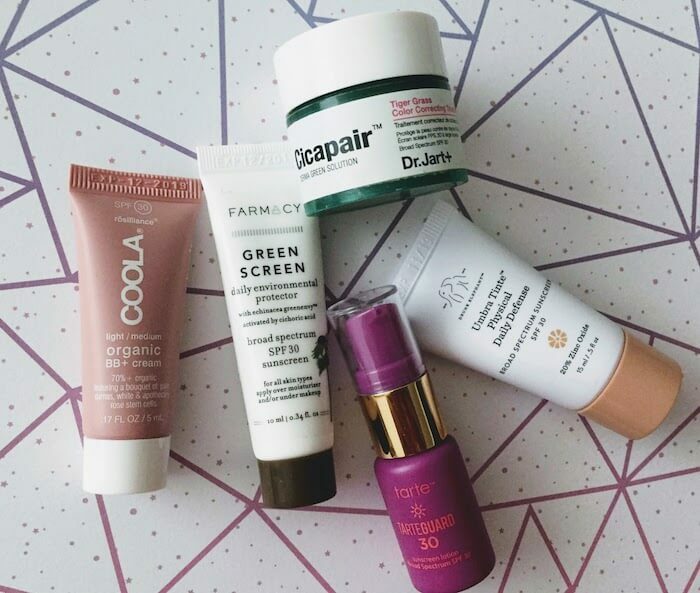 To maintain and moisturize the skin on my hands, I like to slather my hands in something really creamy and thick, like Vaseline or Working Hands cream. 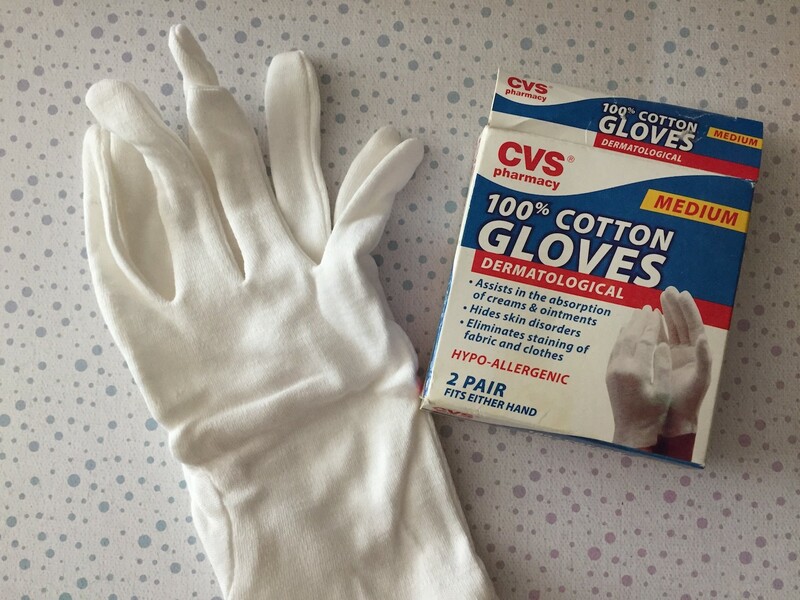 To make sure it doesn’t accidentally transfer onto my bed sheets instead of staying on my hands, I like to wear cotton gloves like these. The only thing is that I usually end up taking them off in the middle of the night (probably because I get hot when I sleep). I know this is really bad for the environment, but I do occasionally wear disposable food prep gloves when I’m preparing foods that aggravate my hand eczema. For me, this is strangely limited to chopping tomatoes and eggplants. Maybe my skin is just allergic to nightshade vegetables? I do love to eat them, though, so whenever I have to come into physical contact with them (aka chop them), I just don a pair of disposable food gloves and save myself from the itchiness of coming into contact with these foods. I also like to wear them when dealing with raw poultry, because touching raw chicken is kind of gross, in my opinion. I purchased this pack of 1,000 disposable food prep gloves from Amazon back in 2015, and I’m still not done with them because I only use them occasionally. Really good investment, in my opinion. That said, these gloves certainly aren’t perfect. Since they’re one-size-fits-all, they’re a bit loose on my hands, and they come off pretty easily. 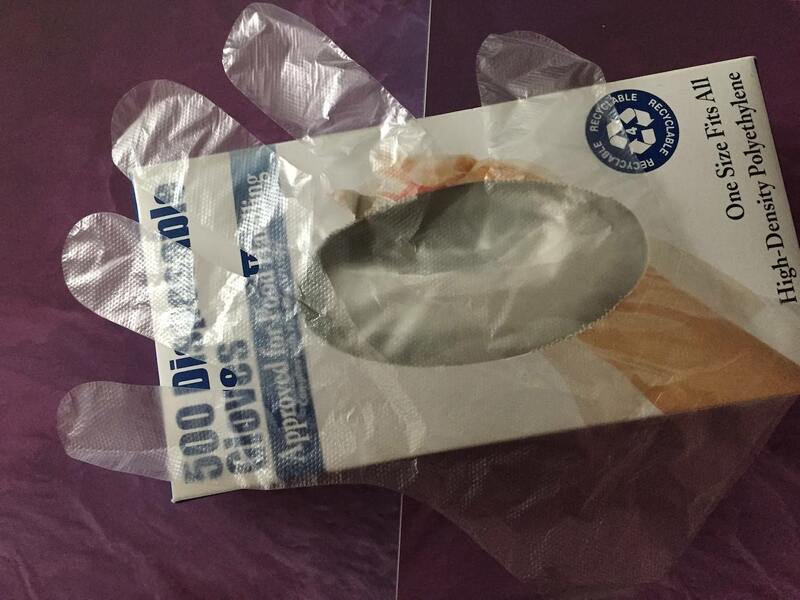 Water also starts seeping through the gloves after a while, because the plastic is so thin. But for short-term contact with tomatoes and eggplant, I find that it really gets the job done. The more I wash my hands, the more I aggravate the skin and increase the chance of an eczema flareup. But some soaps are definitely better than others. I’ve found that Dial hand soap tends to aggravate my hand eczema. I also try to stay away from antibacterial soaps, which researchers have concluded that antibacterial hand soap is no more likely to prevent illness, and it may encourage the rise of antibiotic-resistant super-bacteria. Scary! I’ve been using Softsoap Advanced Clean Liquid Hand Soap over the past year or so, and I really like it. 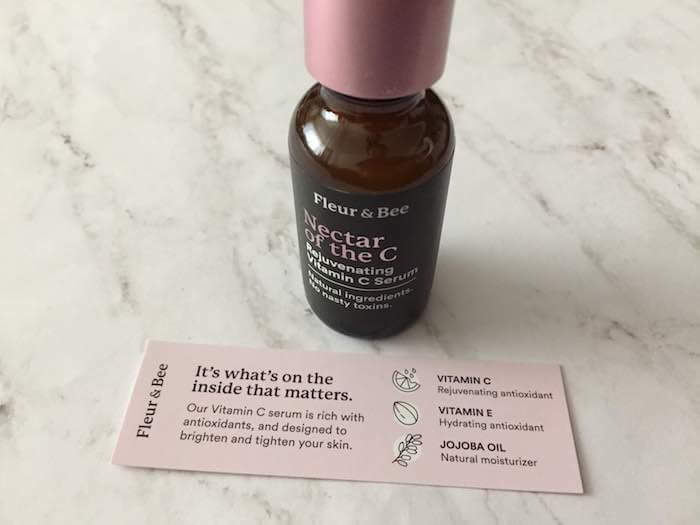 I buy it in bulk from Google Express and it seems to do the job without overly drying my skin. I remember one time in high school, my sister and I started feeling really itchy. We started scratching the tiny bumps that had appeared all over our legs and arms, wondering what could have caused this to thappen. We finally traced it back to the new Arm & Hammer laundry detergent that we had recently started using. From that day forward, we always made sure to only buy and use fragrance-free laundry detergent. No more itchy bumps! 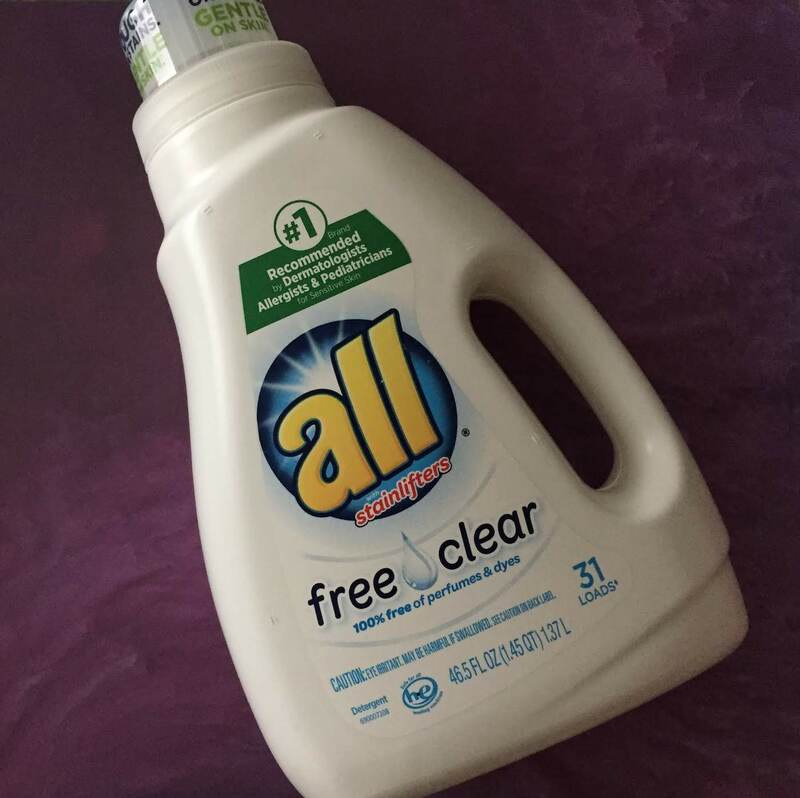 The one I really like is All Free & Clear Laundry Detergent, but probably any laundry detergent that is also free of dyes and fragrances would work as well. 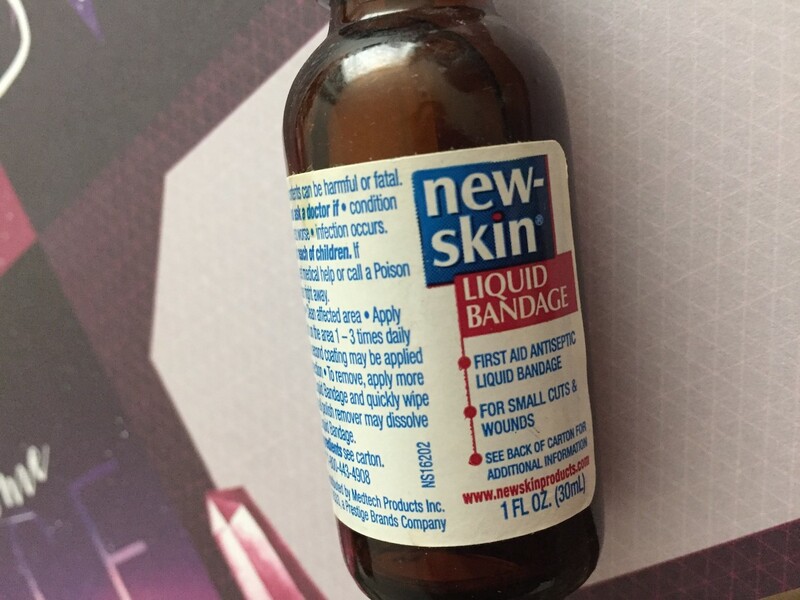 When your skin is so dry that it starts cracking at the knuckles or joints, only New-Skin Liquid Bandage will help it heal. This admittedly stings upon contact, but it will be much more effective and long-lasting than your average bandage (whether it’s fabric or plastic). Read the full review here.